We’re experts in the classic auto marketplace and looking to get your classic car! Regardless of condition, PLEASE CALL US NOW AT 310-975-0272, or contact via our website below. Beverly Hills Car Club, a premiere collector/dealer in Top Dollar and Rare automobiles: NEW, OLD, RESTORED, RESTORATION PROJECTS & EXOTIC cars. Contact us today with any information about your automobile or questions how we might help! Your Classic Might Be Worth More Than You Think! Or email us and we’ll go over all you need to know to sell that classic! Just send a few photos, this is often all we need to make you an offer. We pay immediately! Just approve our offer and we’ll pick up the vehicle, and get you paid. Fast and simple! 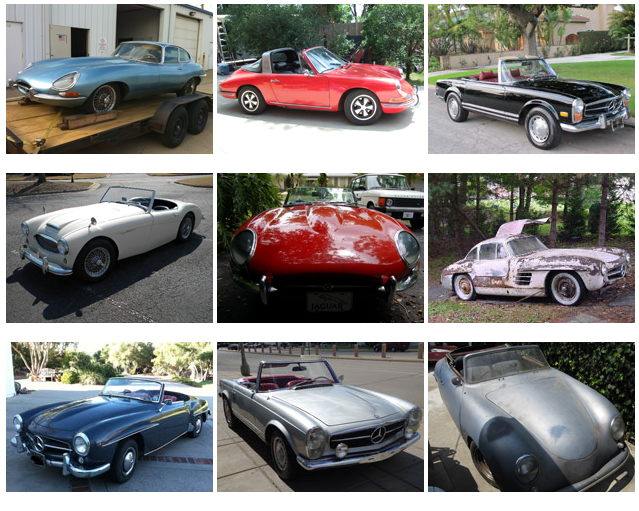 Selling one of these Classic Cars? Let’s Talk!